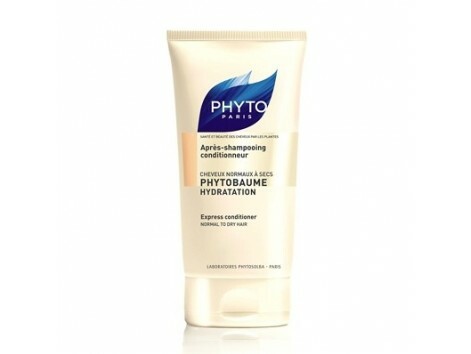 150ml Phyto Hydratation Phytobaume Moisture and shine conditioner. Used after shampooing, Phytobaume HYDRATATION instantly detangles normal to dry hair without weighing it down. Easy to comb, hair recovers its luster, softness and flexibility. No silicone - Assets Jojoba oil chosen for its emollient and regenerating is associated with a derivative of castor oil to protect and moisturize hair. Angelica extract with toning and purifying virtues, adds shine and vitality to the hair. - Instructions for use * After shampooing, hair well-drained, spread a walnut treatment. * Rinse immediately.